By working with Global leaders Hikvision, Britannic can work with you to bring more than just a surveillance system to your stores. Business Intelligence allows you to utilise cutting edge HD surveillance to collect customer data, generate distribution reports, improve personnel scheduling and even effectively enhance your marketing. Want to know more of the benefits of deep learning for your business? Get in touch with our Bimingham based team today. We can specify the very latest technology from global leaders, Hikvision. These Smart IP systems come built-in with everything you need to get started with video analytics, allowing you to access features such as people counting, region entering, object removing and even vehicle number plate recognition. Collect data straight from the source and begin to process or schedule reports. We help you to set up a flexible and high performance network to record surveillance as well as inisights gathered by your Smart IP cameras. Here we can pair your cameras with a Smart NVR. Video analytics and business insights ultimately help you to make better decisions through more reliable information. From a marketing standpoint, you can analyse how your business performs and make changes based on heat maps or footfall counters. Strategically positioned cameras enable you to collect invaluable customer data that can hold the answers to your marketing decisions. Automatically count the number of people entering and exiting your property. A perfect solution for shops and retail businesses which can provide insights into which hours of the day are the busiest, or even which entrance of your store is used the most. Capture vehicle numberplates and store details with audit trails, perfect for distribution centres and warehouses. Numberplates can even be cross-referenced with a database to allow or restrict access through an automated gate or vehicle barrier. 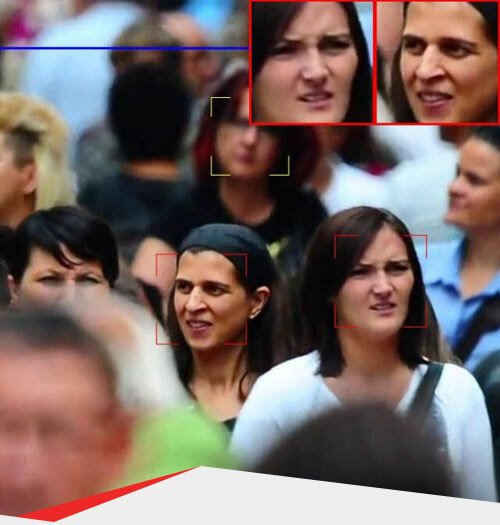 With facial recognition setup, your cameras can accurately detect human faces and capture facial images to be stored on a database. We can even tailor your CCTV system to detect barred customers and trigger an alarm once they enter the property. 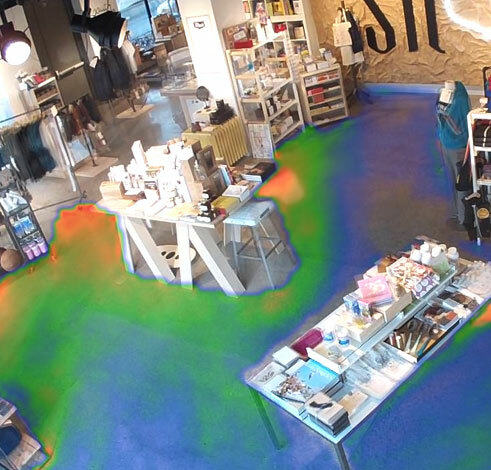 Heat mapping records frequently visited areas of your property to highlight which areas customers are more likely to visit, as well where they are likely to hover. This technology is perfect for retail to help business identify popular mechandise or where to place products. 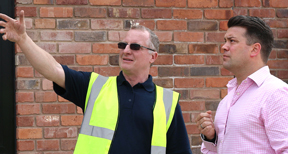 We'll arrange a free site survey to truly understand your requirements - we may even be able to use your existing CCTV infrastructure to save on installation costs!